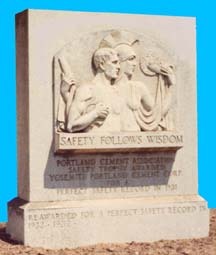 A memory of the safety record established by the Yosemite Portland Cement Plant. Photograph: Donald Foster 1973 - Foundations of Mill and Smoke Stacks footings. 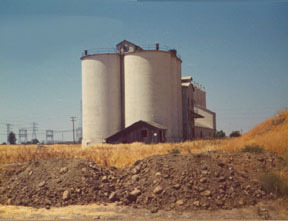 The Yosemite Portland Cement Company's silos at Merced. Only ghosts in 1999. 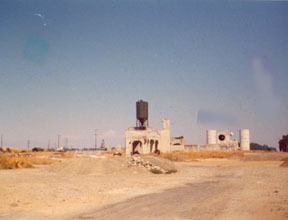 The only rails that remain are those of the Santa Fe Ry. 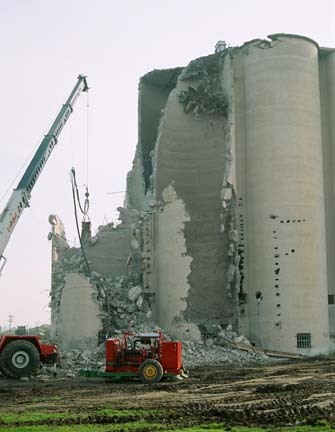 But they like the silos and mill are dead. 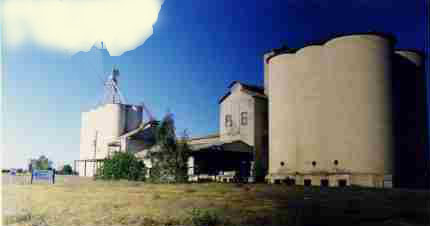 The S.P. rails were pulled a few years before the YPCCo. shut down and the Y.V. rails were removed when the rest of the railway was salvaged. The living quarters and offices at Emory. 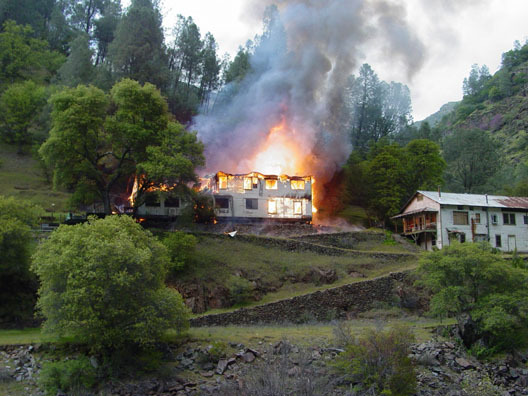 The structure was a total loss . Making way for new housing development.